The flavors of Italy are so popular that the cuisine can be found all around the world. Italian food is more than just pizza and pasta. There’s a wide range of ingredients, flavors, and dishes to experience, that it isn’t surprising to know that there are still some dishes you may not have heard of! While tiramisu is a popular dessert, we’re pretty sure you haven’t had some beeramisu! Yes, it’s exactly what it sounds like – a tiramisu made with beer. The addition of the lager gives the dessert a frothier look and texture, something worth trying. Coppa di Testa translates to “head cheese”, but only one part of the name is accurate. The dish is practically salami made from parts of a pig, mainly the head. Are you daring enough to take a bite? 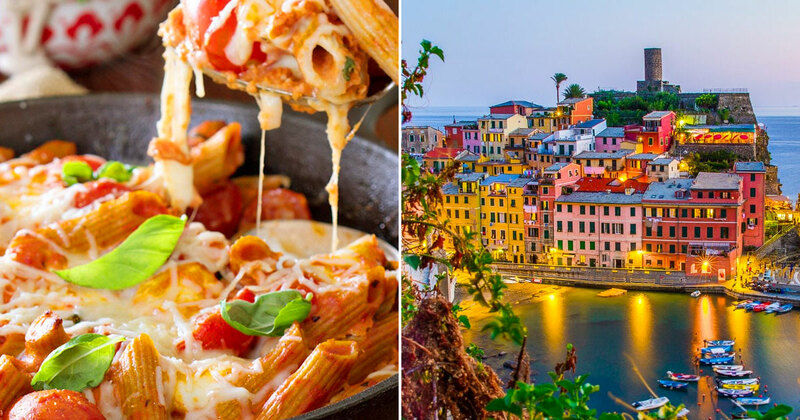 In this quiz, you get to eat all the Italian food you want! Choose one dish from each category, and your picks will help us determine the mediterranean city you should visit right away! Pick an antipasto to start your meal! Which soup would you enjoy the most? Which drink would you want to sip on? Choose a carne (meat) dish of your liking! Which pasta dish tickles your fancy? Pick the seafood dish you would enjoy the most! Do you like any of these rice dishes? Would you like a vegetarian dish too? Pick the pizza you can't resist! Choose your favorite form of formaggio (cheeses)! Enjoy one more main dish if you'd like! Have a nice cuppa caffè! Pick a pastry to go with your coffee! Finish off with an Italian dessert you would enjoy! 🍕 Can We Actually Guess Your Birthday Based On Your Italian Food Decisions? Can You Pass A Food Hygiene Test?